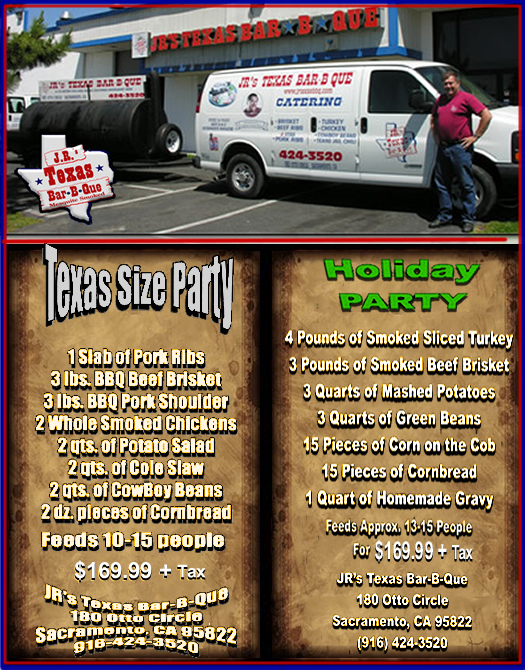 JR's Texas Bar-B-Que has been your source for full service catering, delivery and customer pick-up since 1987! Celebrating our 30th year. Voted Sacramento Magazine's BEST Bar-B-Que for the past 6 years. 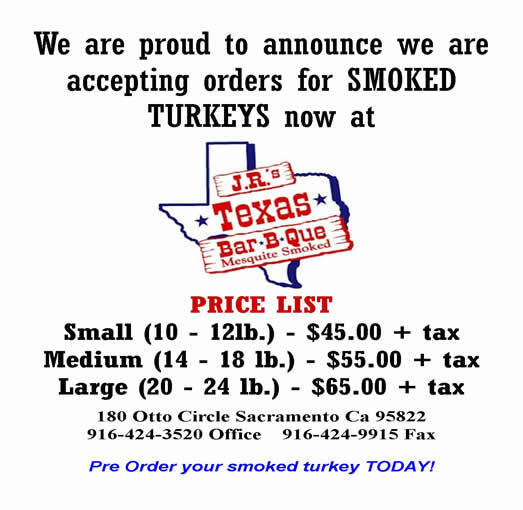 Recipient of the prestigious California Restaurant Association 5-Star Award for best Bar-B-Que and Catering, an award never before given to a Bar-B-Que restaurant. We provide all plates, utensils, and condiments. pink tint. Meat is fully cooked during preparation.